For those of you who pay for Vimeo, at what point did you decide that the price to use Vimeo was worth paying for it instead of just using YouTube for free? What are the reasons you choose Vimeo over YouTube. Just looking for some pros and cons for both sites. I currently use YouTube for most everything, but have considered making the jump to Vimeo. YouTube and Vimeo are probably the most well-known video gurus in the world. Whether you are obsessed with a Hollywood movie or plan to go online to upload a video you just made, you can get underway with the two services. But what is the difference between Vimeo and Youtube? Is Vimeo better than YouTube? 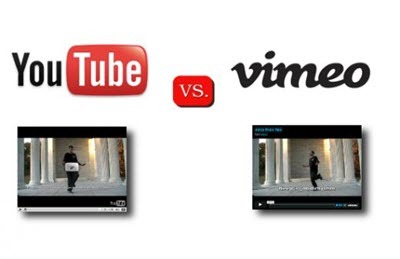 Just follow the Vimeo vs YouTube comparison and check their respective pros and cons. Vimeo, founded in Nov 2004, is a video sharing site where you can upload, share and watch videos. This online video platform attracts over 100 million unique visitors per month as of December 2013. Just ranking next to YouTube Vimeo accounted for 0.11% of all internet bandwidth as of Feb 2013. Similar to Vimeo YouTube offers a flood of videos, movies and TV shows, by making use of WebM, H.264/MPEG-4 AVC and Adobe Flash Video technology. This website was bought by Google in Nov 2006. Registered users can upload videos to their channels and unregistered ones can watch videos. Note: If ads, video buffering or loading and blurry image are still the chief culprits that lead you to turn to download videos from YouTube and Vimeo for offline watching, here you can rely on MacX YouTube Downloader, a 100% safe yet free Vimeo/YouTube downloader program. You can download free movies, movie trailers, soundtracks, download 4K UHD video, 8K (7680 × 4320) video, hot singles, music, educational videos, game videos, and more, all at your fingertips yet without adware, spyware or malware. There are actually many Vimeo versus YouTube review scattering over the internet, most of which emphasizes on their price tags, video branding, competitive advertising, etc but rarely stresses their image quality, content, copyright, user experience, file formats and more that users concern most. But this vimeo vs youtube comparison will dwell on all their pros and cons you care for. Just keep reading on. 1. Vimeo vs YouTube quality: One advantage of Vimeo over YouTube is the former provides better image quality than YouTube. 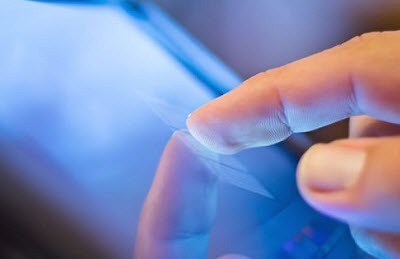 For many video buffs, quality is the prime concern when looking for the video online. Luckily, Vimeo has always attached importance to video quality. It is the first video sharing site supporting customer HD on Oct 9, 2007. You can automatically play videos in HD. This is way most filmmakers choose to upload videos to Vimeo over YouTube. While there is a minor difference between Vimeo and YouTube. Videos on YouTube are played in low 360p for faster rendering at fast. And the video quality relies on how well the users have created. Vimeo users 320 kbps for its audio playback while audio bit rates on youtube is just 192 kbps. 2. File formats: Both Vimeo and YouTube support videos uploaded in the formats like MP4, AVI, MPEG, MOV, WMV, MKV, Ogg, 3GP, QT, MOD, RAM, ASF and RA. YouTube supports uploading FLV and WebM videos that Vimeo doesn't while Vimeo supports files in 3G2, DIVX and DV formats that are not in YouTube supported video formats list. Note: In case the videos you want to upload to YouTube or Vimeo are not readable by the two services, a video converter tool that is able to convert video to YouTube and Vimeo supported audio/video formats is helpful. MacX Video Converter Pro comes to be your best partner as it is built in 320 video codecs and 50 audio codecs. It means you can freely convert any video, even the 4K/8K UHD videos to the format that is able to be uploaded to YouTube, Vimeo, and other video sharing sites or playable on other devices like iPhone, iPad, Samsung, HTC, PS4 and more. 3. YouTube vs Vimeo limits: Vimeo allows free customers to upload 10 SD videos a day, 1 HD video a week. No HD limit for top tier customers and no limit to video length. In the Vimeo vs YouTube 2015 review, YouTube users have no limits to the number of uploads or views, but 15 minute time limit to most videos. 4. Vimeo vs YouTube user experience: User interfaces on both YouTube and Vimeo are quite similar at the very beginning. But over the recent years, vimeo puts more emphasis on users' experience and finally offers a much cleaner aesthetic look with minimal ads, easier navigation and a video player larger than YouTube. YouTube channel offers some options like "Skip Ad" and "theater mode". But it is still a bit vague and dry as long as its user experience is concerned. So in this aspect, Vimeo has a competitive edge against YouTube. 5. Vimeo vs YouTube file size: Another difference between vimeo and youtube is the file size. 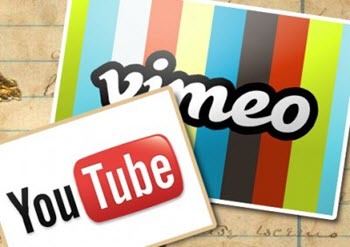 Vimeo members can upload a video up to 500 MB in size while YouTube doubles the maximum file size on uploads to 2GB. Definitely, YouTube is superior to Vimeo in this vimeo versus youtube comparison. Tips: If the video you are going to upload is larger than 500MB or 2GB, please reduce its file size, like compress MP4, MKV, AVI, and more to a format that can be uploaded to YouTube and Vimeo with a video compression software. 1. Viewership: There are 100 million users visiting Vimeo each month; while YouTube attracts more than 1 billion unique visitors monthly, pretty much more than that on Vimeo. The data indicates that Vimeo, compared to YouTube, makes the viral-potential of any video much lower, which is a con for Vimeo. 2. Ads: Only Vimeo Pro subscribers can upload promotional content. But on YouTube, anybody can upload promotional material and ads are displayed through videos. If you are just a viewer, Vimeo can be a lot more comfortable to watch video. But if you are just for business, YouTube wins in the Vimeo vs YouTube ads fight. 3. Languages: Vimeo supports English, Spanish, German and French. While there are over 54 languages available on YouTube, much more than those on Vimeo. Undoubtedly, YouTube edges over Vimeo in this territory. So if you are Chinese or Korean, you will probably head over YouTube. 4. Account types: YouTube offers many account types with certain benefits that you can create and apply for. Different from YouTube's types of account that are totally free, Vimeo provides 2 types of accounts, including Basic (500mb/week upload space and 1 HD 720p video upload per week) and Plus ($59.9 a year, unlimited HD video 1080p upload and no ads). 5. Content: Vimeo is a place to find the awesome videos with much less noice. But YouTube offers most great originated viral videos, like cats, funny baby videos. If you prefer to recent content like news and music videos, YouTube is the place to go. So it's a tie in the vimeo vs YouTube review. Vimeo focuses on quality over quantity and offers a clean interface that makes it the clear-cut winner for video professionals, while YouTube has a larger audience and better advertising value, which is more suitable for business. Anyway, this Vimeo vs YouTube comparison doesn't meant to give a final winner here but just offers you a clear clue - which online service is more suitable for your own purpose. Anyway, if you just going to market your brand, just go for YouTube. But if you are a filmmaker or video buffs, Vimeo is for sure the ultimate place to go. MacX YouTube Downloader is an all-around free YouTube and Vimeo video downloader with high quality and incredibly fast speed. It also provides superfast solution to download videos from other 300+ online sites.